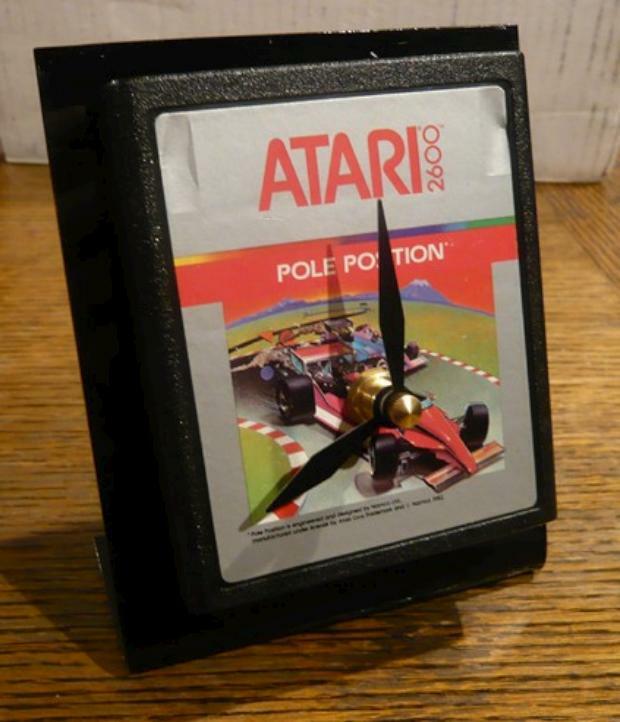 Combine your longing for the good old days of early video gaming with your obsessive need to be on time, and you’ve got yourself a series of clocks made from old Atari cartridges selling for $20 apiece. Available over at Etsy.com, the following game/clock combinations include Pac Man, Ms. Pac Man, Pole Position, E.T. The Extra Terrestrial, Donkey Kong, Demons to Diamonds, Swordquest Earthworld, Atari Casino, and last but certainly not least, Asteroids.